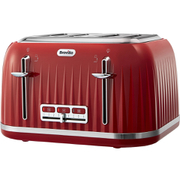 Create delicious toasties with the Breville VST078 DuraCeramic 2 Slice Sandwich Toaster in Red. 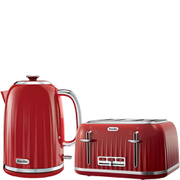 Featuring a high gloss red finish, the toaster’s plates have a DuraCeramic coating for superior non-stick properties. 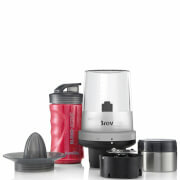 Toast a huge range of savoury or sweet toasties without leakage whilst Breville’ s unique ‘Cut and Seal’ system keeps contents locked in without any soggy results. The DuraCeramic toaster can make two toasties at a time so is ideal for breakfast, lunch and snacks at any time. The plates are easy to clean with a simple wipe. For compact and convenient storage, the toaster can stand upright in a cupboard.